Well, this weekend I finished editing page proofs for Moon Blue Ridge and Smoky Mountains, which is scheduled to hit bookstores in May. 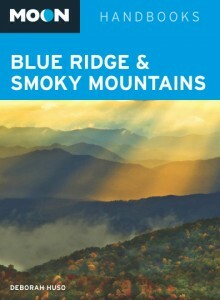 Take a sneak peek and pre-order the book now, just in time for the Blue Ridge Parkway’s 75th Anniversary. Check out the pre-order options at Avalon Travel.